Pigment based UV resistant concentrate with the ability to disperse in a variety of mediums. Safe alternative to acid stains, no neutralizing necessary, instant color development. Available in a broad range of vibrant colors, custom colors are also available. The cart below contains what we consider to be our “Standard colors” they are simply the most popular but by no means the limit of our capability. 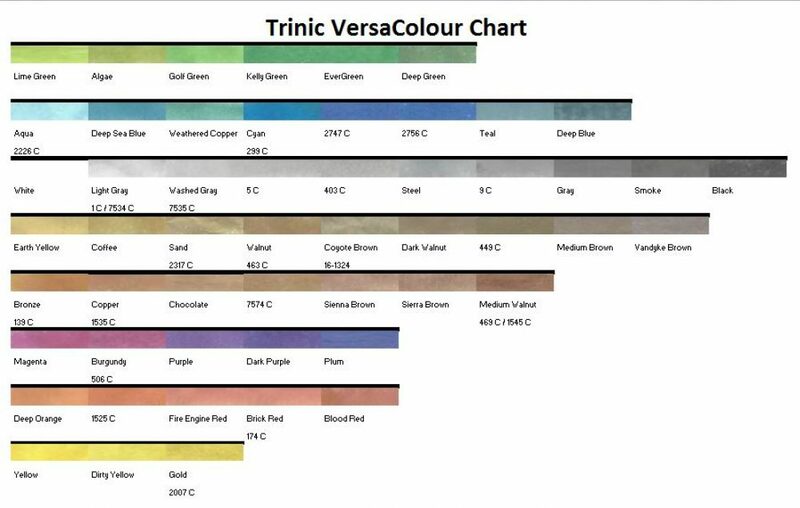 Trinic can make any color found on the the “Pantone Formula Guide Solid Coated” app for your smart phone. Simply call us with the color code and we can make it for you. *NOTE* The color will accurate but may not look like it does on your phone or computer screen. The factors that affect color on your concrete are limitless please call with any questions and make samples to verify.